We dare you to look through the listings of these haunted homes for sale without getting spooked. In every town, there’s always a creepy-looking house that becomes legendary among neighborhood kids. You know the one: A mysterious, unfortunate event happened there decades (or centuries) ago, and now the place is haunted. 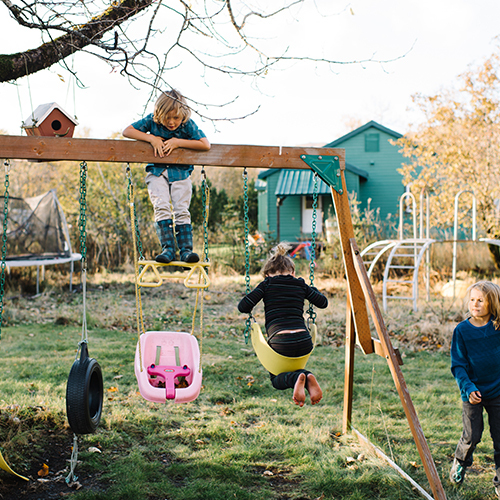 It was the house you avoided any time of year, especially after dark — and always on Halloween, when you were 110% sure the home’s supernatural residents were doing the Monster Mash. Even if the home’s human residents were giving out full-sized candy bars to trick-or-treaters, you’d never ring that doorbell. But eventually, those spooky abodes go up for sale. 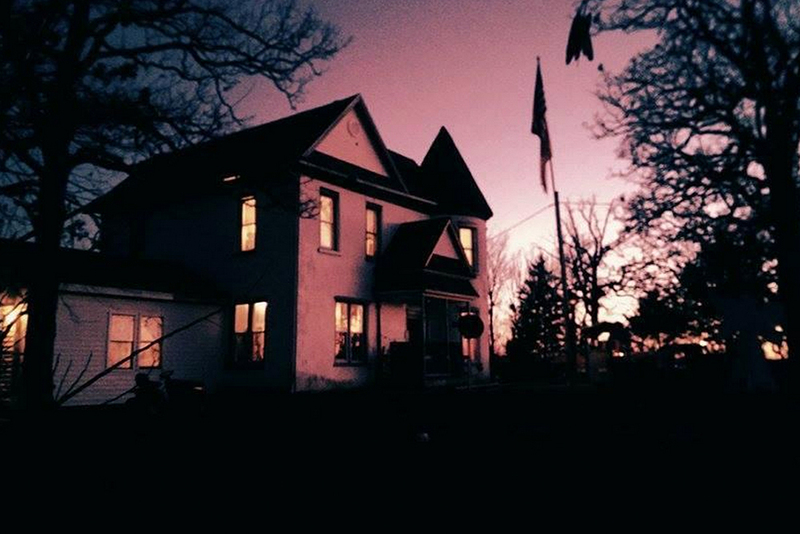 So if you’re the kind of person who fancies a ghostly housemate or simply wants a great story to tell at cocktail parties, these enticingly eerie haunted homes for sale in Woodstock, CT, and beyond will be right up your alley. The stately staircases that connect the 42 rooms of this Tudor-style megamansion provoke an M.C. Escher–like sense of unease. 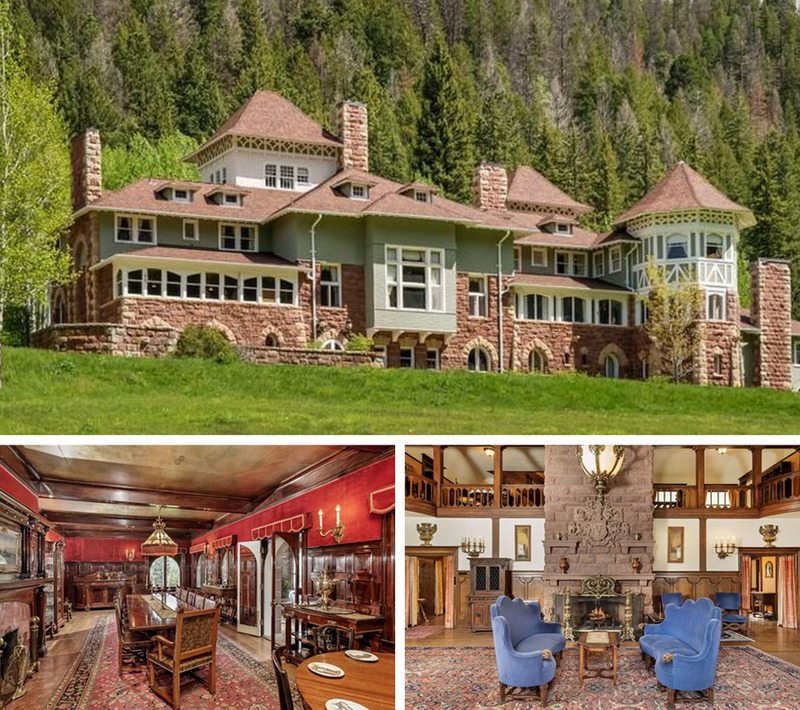 Originally built between 1897 and 1902, this sprawling estate was once the private home of industrialist/robber baron John Cleveland Osgood, who died on-site. Although it’s said Osgood’s ghost haunts the halls of the 23,357-square-foot interior, a nightmare of a more modern nature occurred more recently: The IRS seized the mansion in 2003 as part of an investigation into an international Ponzi scheme. However, the opulent interior and prime location nestled in view of snowy mountains just might obliterate any stigma, real or imagined. 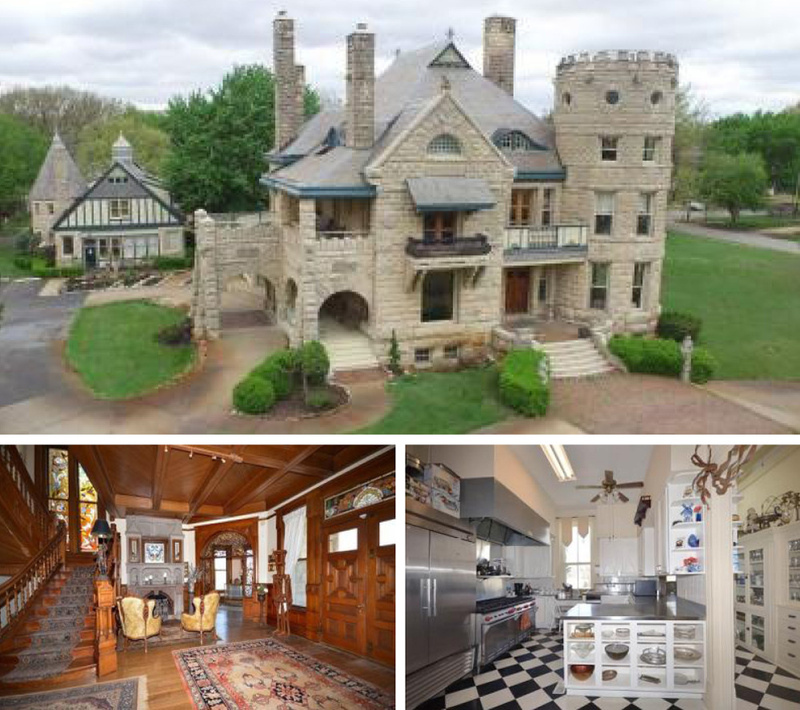 If the rumors are true, this circa-1800s estate comes with plenty of spiritual inhabitants. 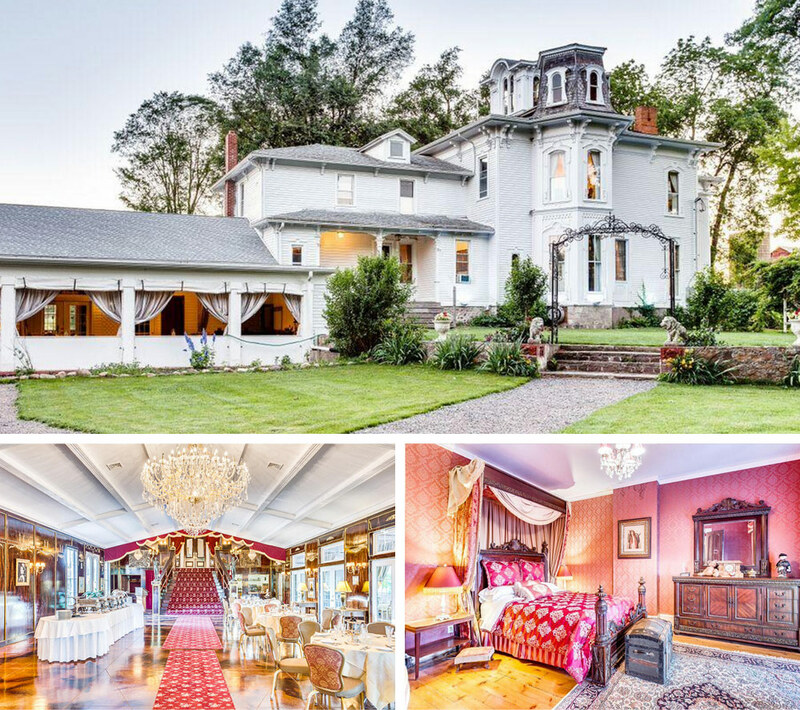 Named “The Pillars” in a nod to the commanding Doric columns that define the Greek Revival exterior, this home is listed as an attraction on the Haunted History Trail of New York State and hosts an annual black-tie affair that re-creates the last meal served aboard the RMS Titanic. Nowadays, The Pillars is a bed-and-breakfast, and its hosts ask guests to sign a waiver promising not to ghost-hunt or disturb the spirits within. (But the 13,286-square-foot home has plenty of space to host visitors and specters.) Oh, and all that Victorian furniture is included with the sale. Few listings proudly proclaim that several people have died on the premises — but this is no ordinary home. 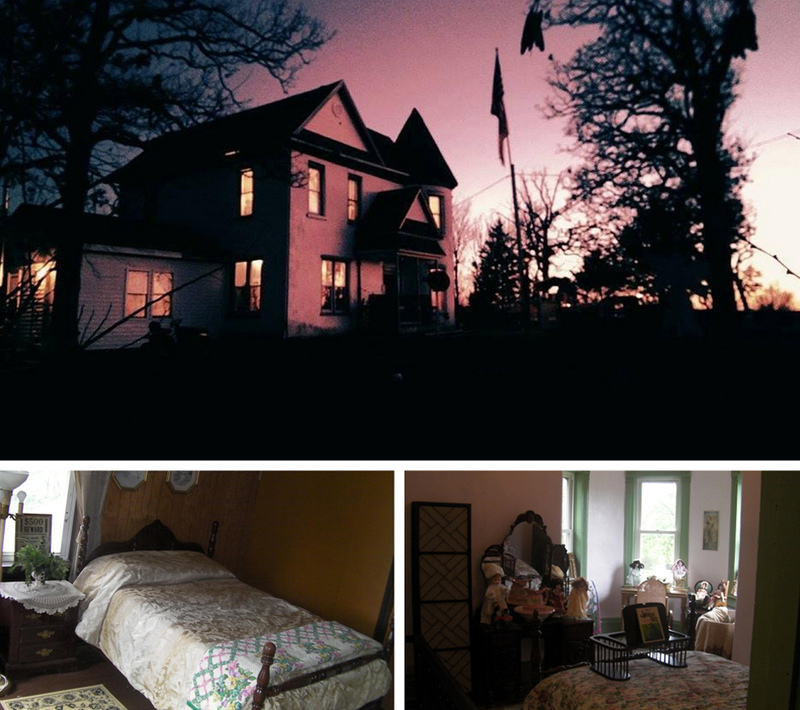 Currently a bed-and-breakfast that ranks as one of the most sought-after locations for paranormal investigation teams, this scarily affordable five-bed, two-bath manor led previous lives as a doctor’s office, hospital, and funeral home. Budding ghost hunters would find plenty to get excited about, from the ridiculously on-the-nose name (“The Haunted Castle House”) to the location (adjacent to two cemeteries) to the vertigo-inducing 40-foot-high turret. 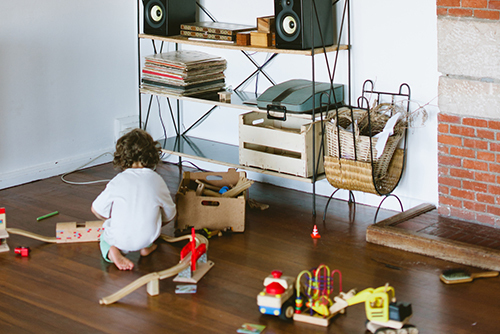 The most unusual features, however, are the 2-foot-thick cement walls that no doubt laugh in the face of Wi-Fi and cellphone signals. For those who prefer to connect with generations past through historical artifacts, the circa-1850 home comes complete with antique furniture. And lots of creepy dolls. No, that’s not a typo: This fortresslike escape is indeed priced at a chilling $45 million. But at 35,000 square feet on 126.6 acres, the property probably merits its own ZIP code to go with that price tag. 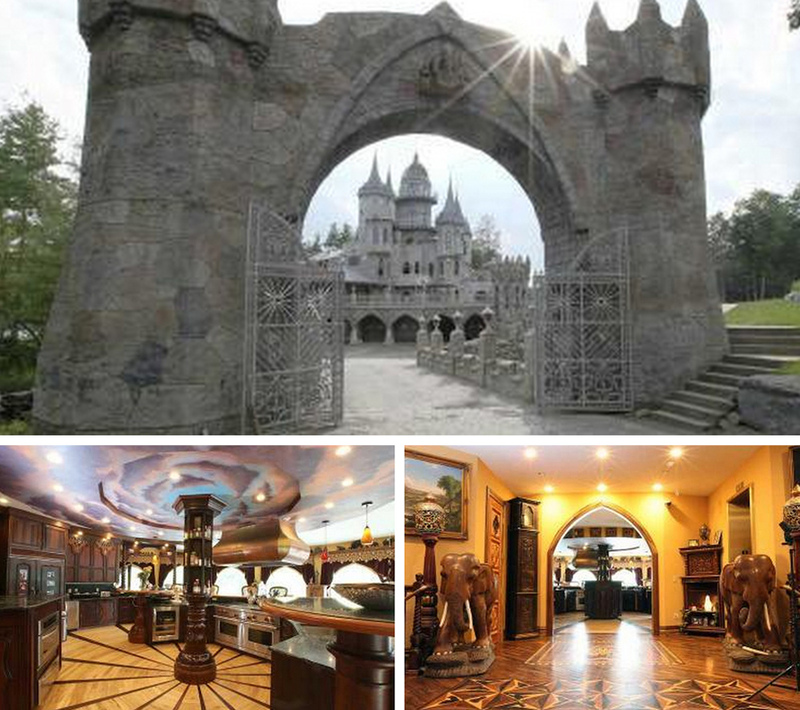 The castle was custom-built by the great-grandson of a 19th-century steel baron. With spires, turrets, and towers dotting the roofline of the stone-and-concrete chateau, Count Dracula would probably feel right at home within these walls. Although he’d probably prefer a coffin in the basement to any of the home’s eight bedrooms. Modeled after a Richardsonian Romanesque Scottish castle, this dramatic stone edifice could inspire a Gothic horror story. Parts of the home are even older than the 1888 construction date, such as the 250-year-old staircase that was imported from London, or the incredible 650-year-old Grecian fireplace. Some features have a very eyebrow-raising back story, such as the intricate fretwork in the entry that was carved by an inmate of an Irish debtors’ prison. Such relics often come with their own psychic baggage, so to speak. So if you see any specters looming in the 14 bedrooms, 14 bathrooms, library, dining hall, or even the Jacuzzi, here’s hoping they’re friendly. 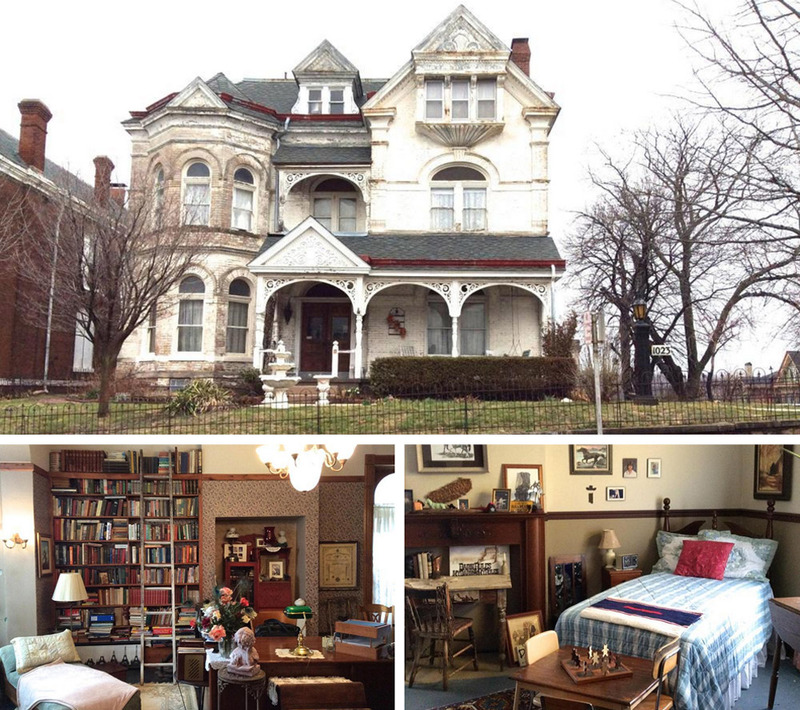 Channel the spirit(s) and style of 1887 in this historic home, which carries a very down-to-earth price tag. Decorated in a period-appropriate “séance-chic” theme, the Victorian home features a dizzying array of wallpaper patterns, dark wood accents, and claustrophobic hallways. This pricey property is located off a nondescript, gated private drive through a forest landscape that comes off as either majestic or sinister, depending on the time of day. 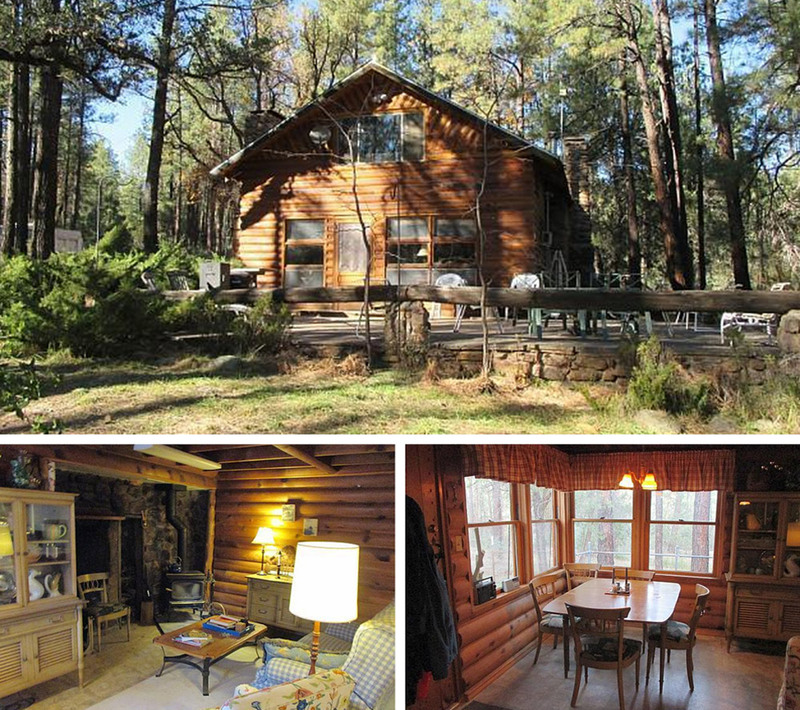 Once you work up the courage to approach the two-bedroom, one-bathroom log cabin in the middle of nowhere, you’ll be reassured by its quaint, homespun charm — for a while, at least. In the moonlight, we can only imagine how the person-sized hearth, sloped-ceiling bedrooms, and sheer remoteness of the locale could spur the imagination. Perhaps a morning walk among the streams and ponds could make up for the rough night’s sleep. That is, until the scenery starts reminding you of The Blair Witch Project. A church is traditionally a place of peace and reflection — until the effects of time usher in an oh-so-creepy atmosphere. First, there’s the imposing architecture of the circa-1895 structure. That was a time when churches weren’t known for being warm and intimate spaces but cavernous environments with amplifying acoustics. 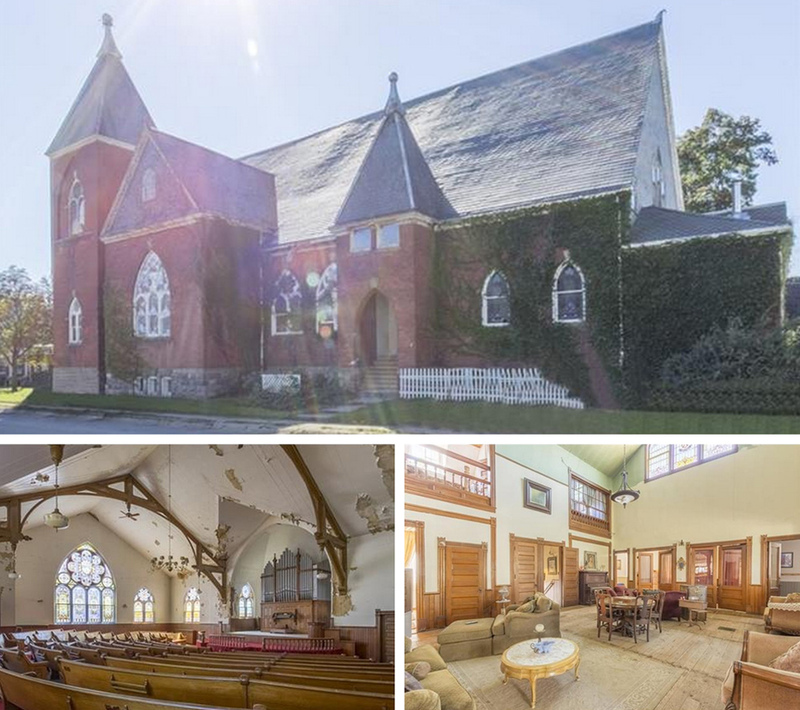 While the church has been converted from a place of worship to a four-bed, two-bath private residence, you’ll still find vestiges of the original structure. Such as a Friday-night-dance-ready basement, stained-glass windows, and, um, an intact church sanctuary, complete with pews and an organ. Couple this with the peeling paint, assortment of doors, a bed on a balcony, and a suspended light fixture that looks as if it will drop at any moment, and you’ve got the setting for the next season of American Horror Story. Want a home with a unique yard? 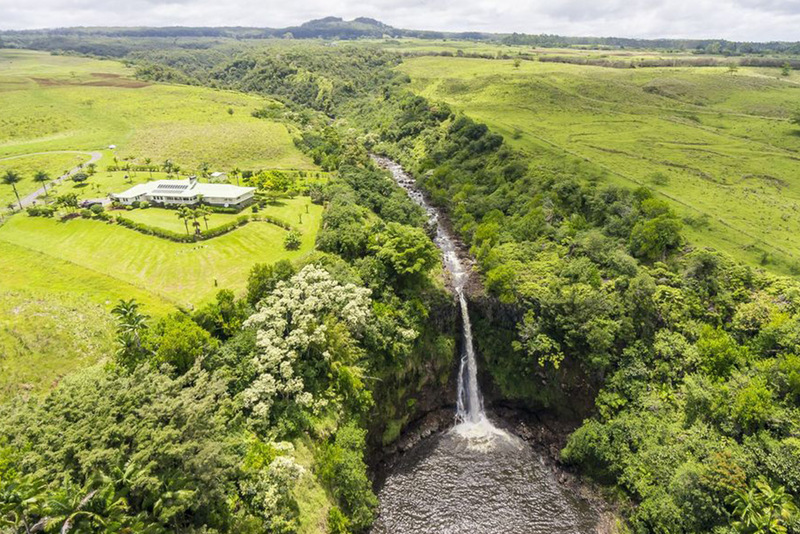 Feed your senses with these homes for sale that feature the flow of a natural waterfall.